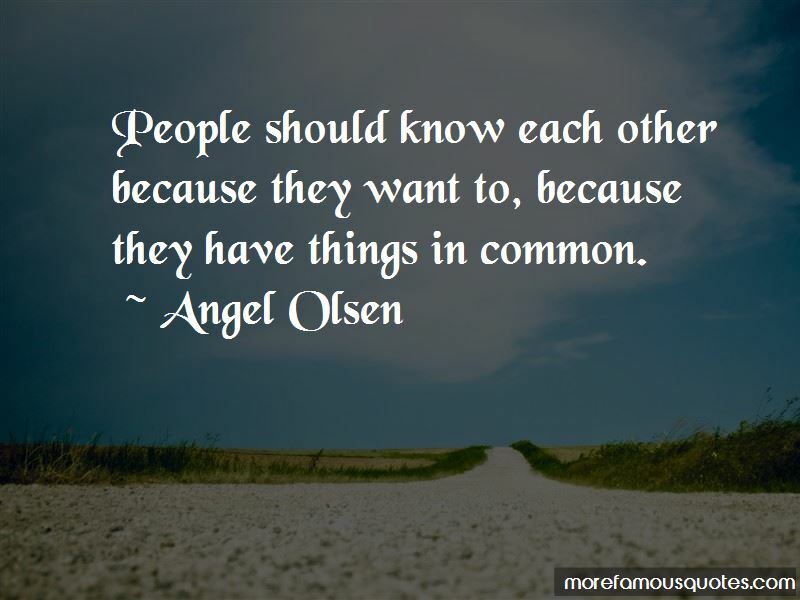 Enjoy the top 33 famous quotes, sayings and quotations by Angel Olsen. When people disappoint you, it's just as much your responsibility to be aware of it and what you don't want. I know it sounds so lame, but the songs are like my children. You want to create things as purely as possible without allowing the universe to interfere so much that it's manipulating it and making things unreal to you. The family that raised me are awesome people and they are my mother and my father and my brother and my sister. I've never viewed them as these "strangers" that took over. It's never been this crazy, dramatic, Lifetime-movie situation. It's been chill. I'd rather people interpret the songs and get whatever they can out of them instead of thinking about me crying in a room with a guitar. I sometimes write as if I were talking to myself, or to a mirror, or to someone for the last time. There's this element of confrontation. Want to see more pictures of Angel Olsen quotes? 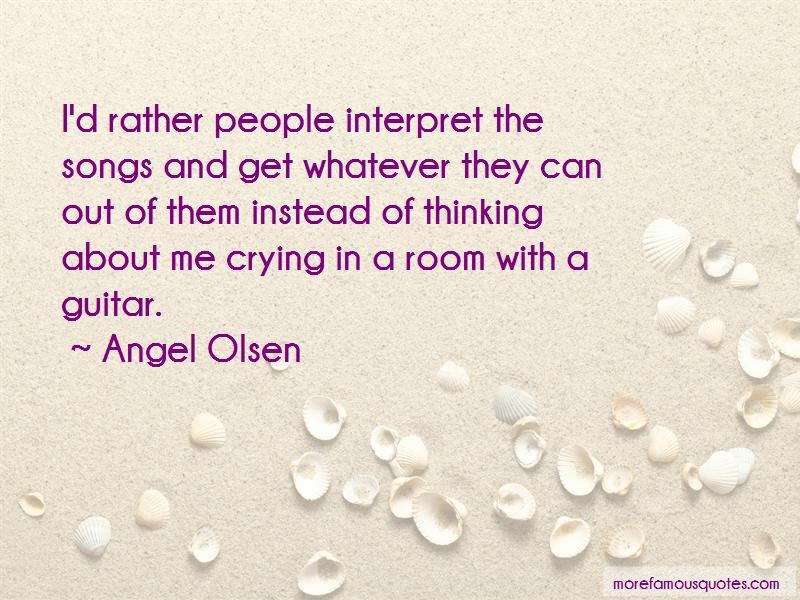 Click on image of Angel Olsen quotes to view full size.